Cooking the perfect turkey for the holidays can be a daunting task. 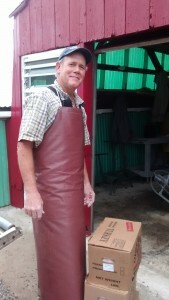 Ron, from Lee Turkey Farm, takes some of the guesswork out of the process by sharing what it takes raise and cook the perfect bird for the table. As Thanksgiving nears, newscasts devote primetime screening to the latest turkey roasting techniques, help hotlines flair-up with frantic home cooks calling in to experienced chefs for help on how to get everything just right, grocery stores stock up with every possible ingredient that one could dream-up to ensure that the turkey is flavored to perfection. For one week, it would seem that our national pride depends on a single bird and its ability to be cooked to perfection. But the efforts to get that perfect turkey to the table have already been in motion months before you dig out grandmother’s old recipe. 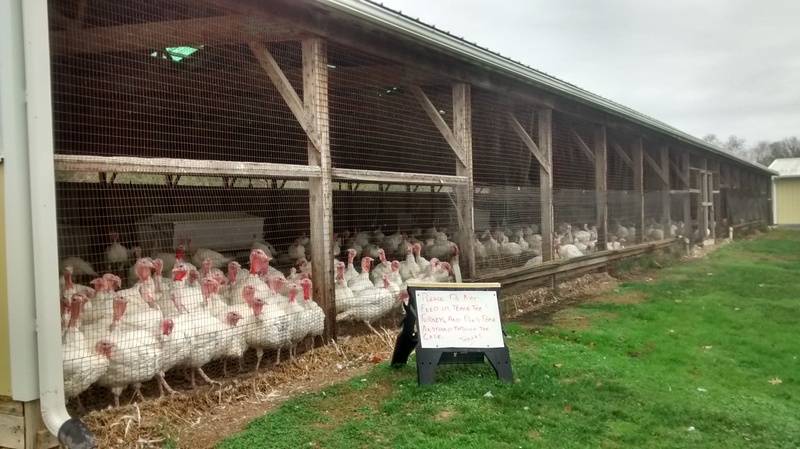 Like many other turkey farmers, Ron orders at the start of the year. 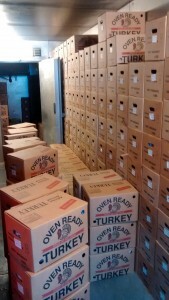 When June rolls around, so does a shipment containing 3,000 turkeys that are only one day old. Ron and his son, Dylan, manage the turkeys on their own up until it is time to “process” them for Thanksgiving. 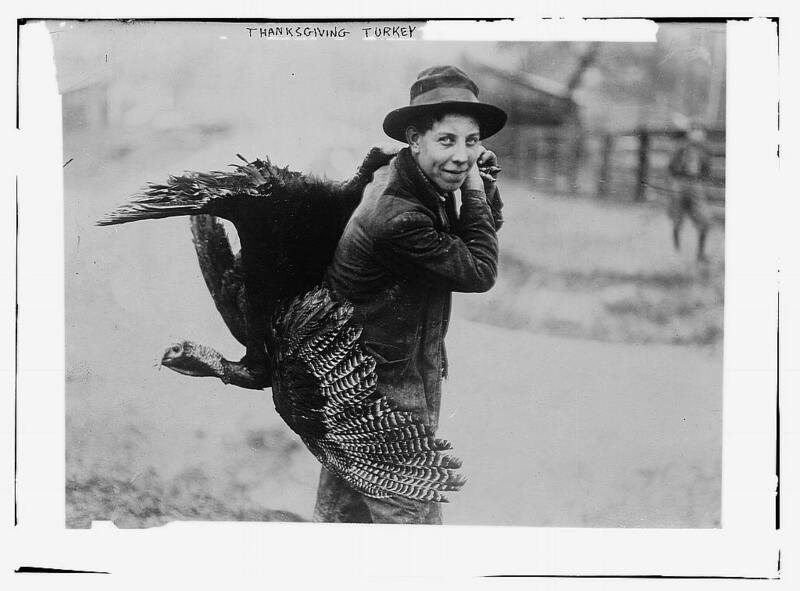 In the beginning, the turkeys are fed a protein-rich blend of feed made from soybeans, barley, wheat, rye, and corn grown on his own farm. “It helps to build a strong frame for all the weight they will put on,” Ron says. 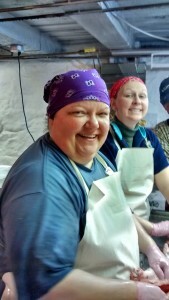 Starting the week before Thanksgiving, it is time to start processing the turkeys. Ron’s father, who started raising the birds on the farm 75 years ago, insists that it be done the old fashion way…by hand. Inside an old wagon house built in 1802 that may very well be the oldest continuously running meat processing plant in the country, they do just that. Now a group 10-12 people, mostly neighbors, friends, and family, take part in the process. Many, like Ken, have been coming by choice for years (15 years in Ken’s case). Others make a point to take time off their regular jobs simply because they enjoy the change in pace and scenery. And some, like Kassie (a 14 year old vegetarian), come out of curiosity and a love for farming. Simple advice from a family that has spent the last 75 years perfecting the turkey for all of us to enjoy.